BTS พร้อมพงษ์ - 600 ม. MRT สุขุมวิท - 830 ม. กว้าง: 7 ม. ยาว: 7 ม. สูง: 3 ม. 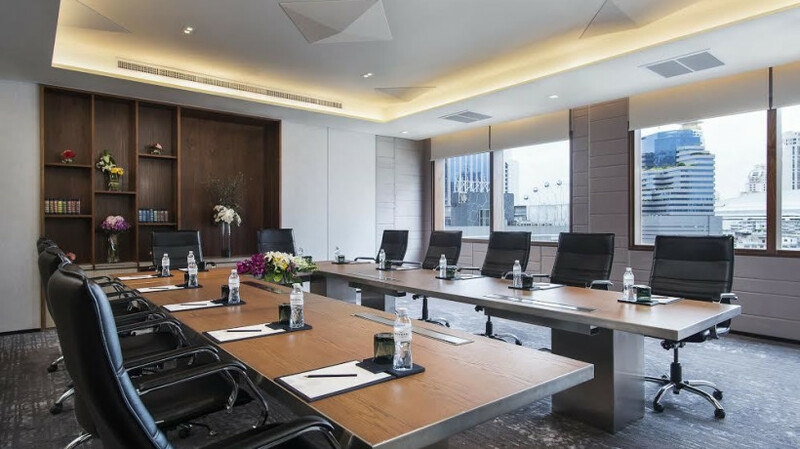 These meeting rooms, Phloen Chit, Nana, Asok, Phrom Phong, Thong Lo and Ekkamai, are contemporary and refined in design. 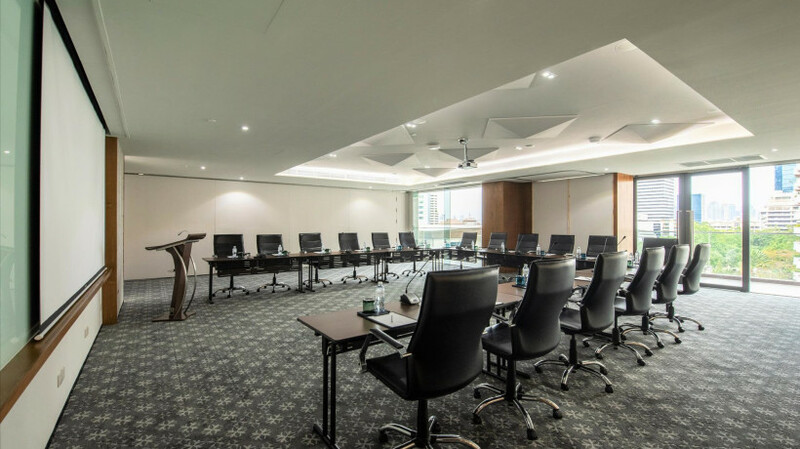 Equipped with full facilities and services, they are ideal for breakout sessions, smaller meetings, seminars or a small press conference. 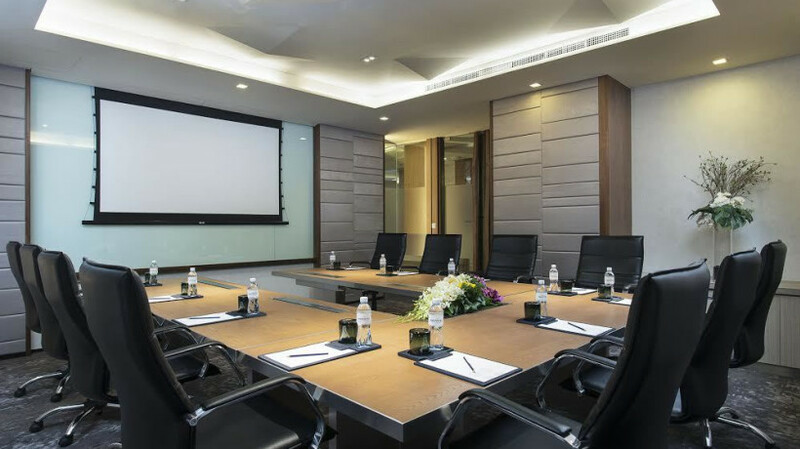 Standard amenities include high speed Wi-Fi, LCD projectors, and video conference facilities. 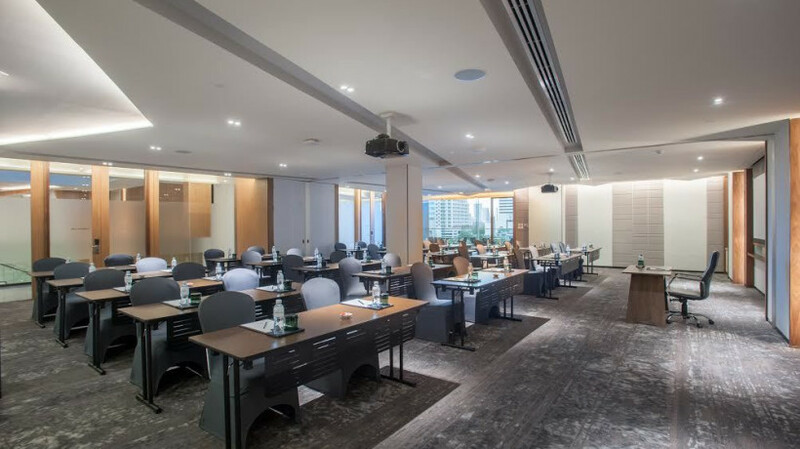 We even have two meeting rooms connected to a private terrace with city views: the perfect place for participants to take a short break. Access to Food Exchange via the Hotel’s grand staircase is also convenient for all meeting room users. กว้าง: 6 ม. ยาว: 7 ม. สูง: 3 ม. กว้าง: 31.8 ม. ยาว: 18.9 ม. สูง: 6 ม. 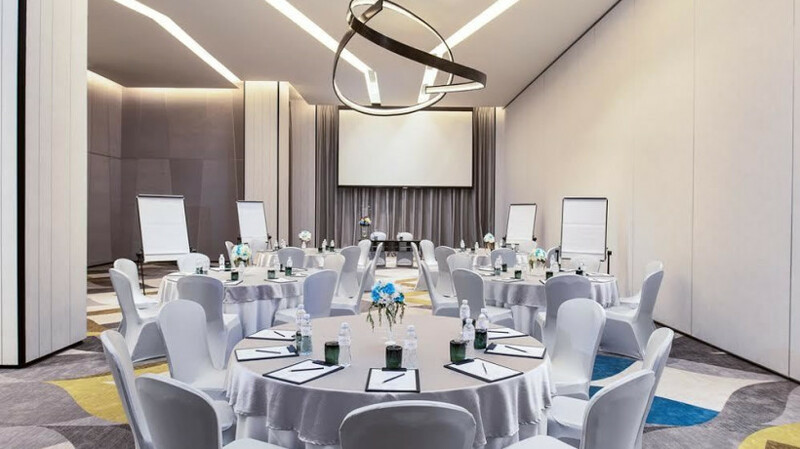 Our elegant Benjasiri Grand Ballroom can accommodate any function with up to 800 guests. 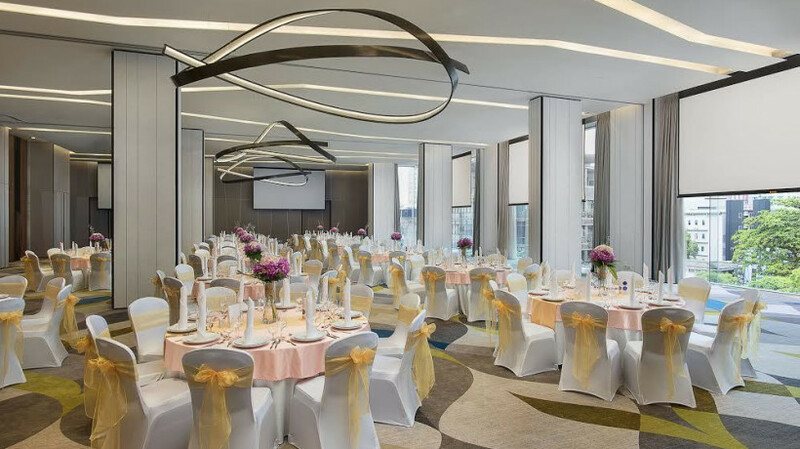 The ballroom has a high ceiling reaching up to 6 metres in addition to floor-to-ceiling glass windows offering natural light and views of the city, creating a very light and airy atmosphere. กว้าง: 8.5 ม. ยาว: 8.5 ม. สูง: 3 ม. กว้าง: 11.5 ม. ยาว: 20 ม. สูง: 6 ม. กว้าง: 18 ม. ยาว: 11 ม. สูง: 3 ม. กว้าง: 22.6 ม. ยาว: 11.1 ม. สูง: 3 ม. 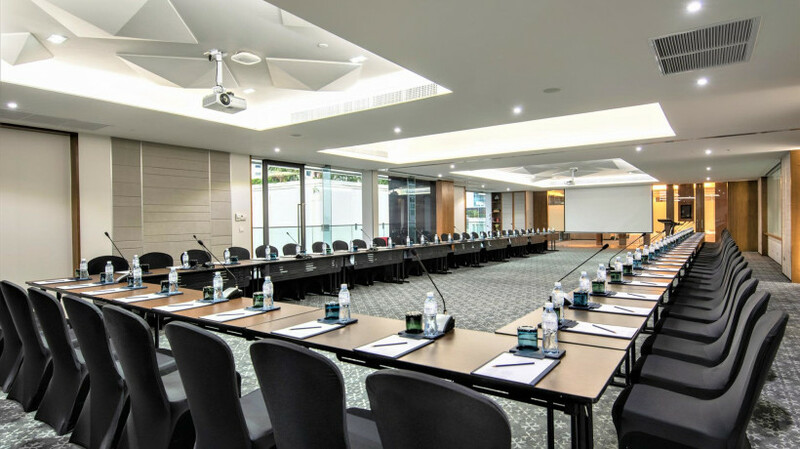 Our Siam ballroom is located on the 8th floor with natural light. 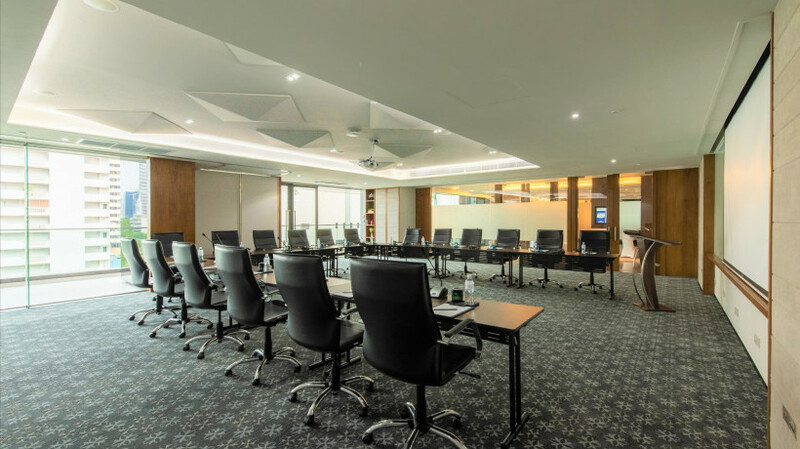 The newest ballroom in Sukhumvit has 3 meters ceilings and full length glass window looking to the city, capable of meetings for up to 250 delegates, making your perfect choice for the events in Bangkok. 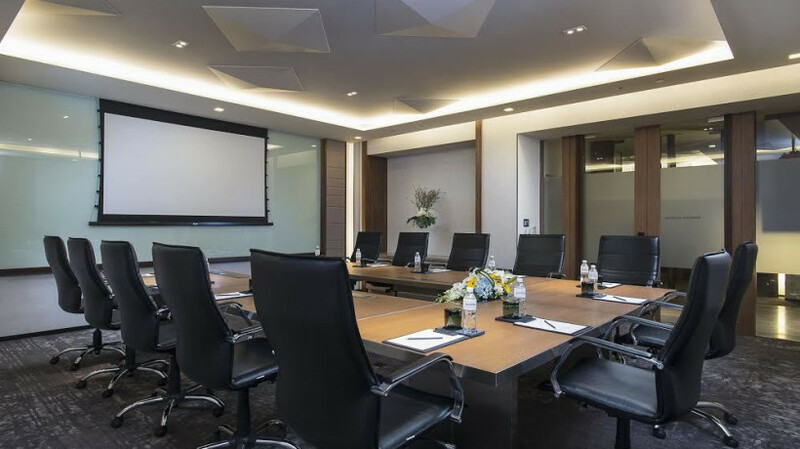 The room can be used separately or together and features the latest audio-visual equipment, high-speed internet and lighting system. กว้าง: 11.1 ม. ยาว: 11.1 ม. สูง: 3 ม. กว้าง: 11.3 ม. ยาว: 9.3 ม. สูง: 3 ม.